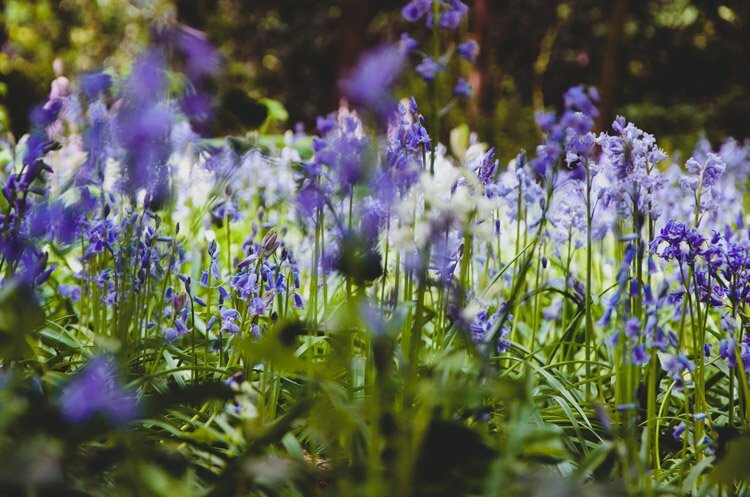 Did you know that almost half the world’s bluebells are in the UK? That’s a great reason to visit the British bluebell woods. 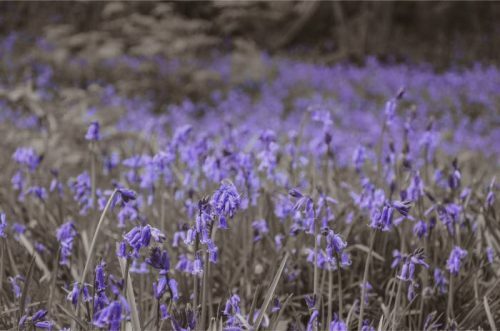 Carpets of bluebell flowers among are a site to behold! No need to worry where to see bluebells because I compiled the best places right here. 1.1 What Is the Bluebell Flower’s Meaning? 1.2 Are British Bluebells Poisonous? 1.4 When do Bluebells Flower in the UK? 1.5 Where to Find Bluebells Generally? 1.6 Why Travel to See the Bluebells in the Woods? 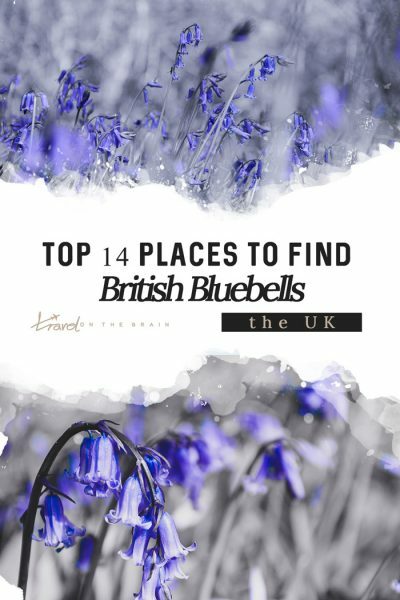 4 Are Bluebells in the UK Worth the Trip? 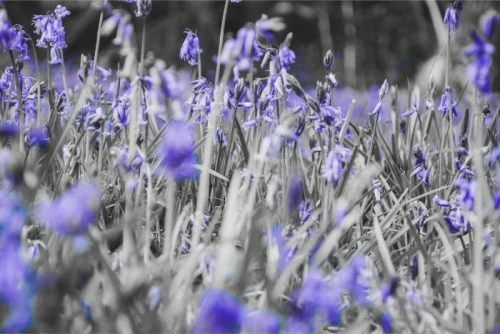 What Is the Bluebell Flower’s Meaning? 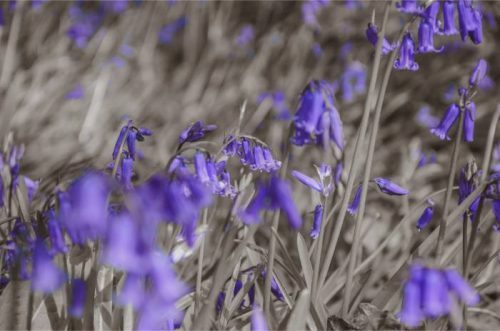 There are various meanings for bluebells (hyacinthoides non-scripta), including humility, gratitude, constancy and eternal love. 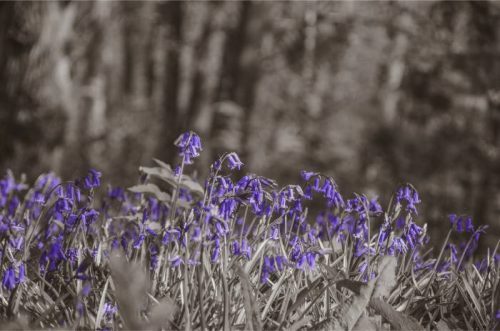 From olden days, there are superstitions around bluebells as well. 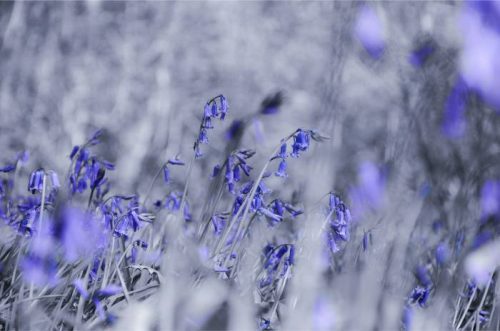 It was believed that bluebells could be used to ring up fairies. If you were unlucky enough to hear the ring, a loved one would soon die. Generally stepping on bluebells or picking them invited was said to bring bad luck. In Scotland, people thought witches would shape shift into hares and hide among the flowers. 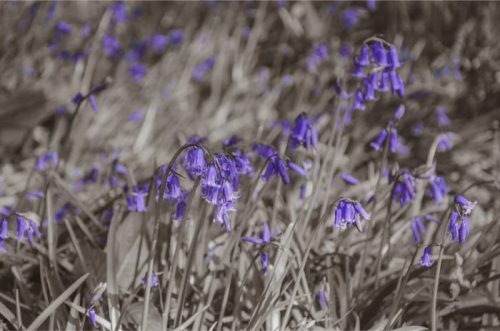 By the way, the Latin name for the British bluebell is Hyacinthoides non scripta. 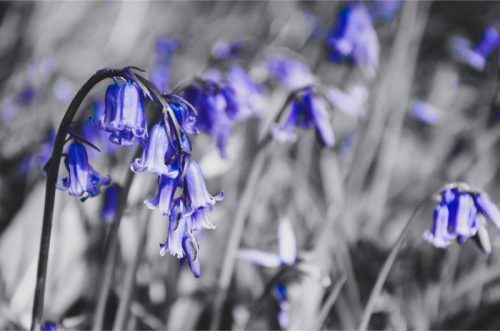 All parts of a UK bluebell are poisonous as they contain toxic glycosides. You shouldn’t pick or harm the bluebells flowers, which includes eating them. However, you may be walking your dog and he didn’t get the memo. In that case, your dog will suffer from vomiting, diarrhoea, lethargy and disorientation for a while. Unless he ate large quantities, he should be fine. So yes, bluebells are poisonous to both animals and humans. Yes, bluebells are protected. You mustn’t pick, uproot or destroy them. This also means not walking through them. That will actually kill the plant. Leave them be for other visitors to look at. It takes around 5-7 years for a bluebell to flower. That’s a pretty long time, so don’t make all the effort void. 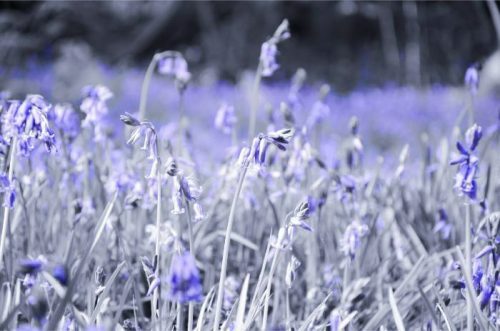 When do Bluebells Flower in the UK? Bluebells bloom between mid April and late May in the UK. The further south you get, the slightly sooner they bloom. However, if the weather gets warm quickly, the flowers also blossom faster. Once in bloom bluebells will flower again each year and even spread. 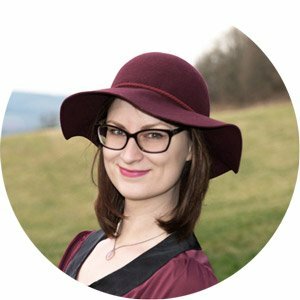 Where to Find Bluebells Generally? Bluebells mostly bloom along the coastlines from Portugal to France and on the British Isles. A popular bluebell spot in the Netherlands, for instance, is Hallerbos. Bluebells love shady areas in forest where sunlight can still fall through. Bluebells especially love ancient woodland, which is a forest area that has most likely always been a forest and been spared the fate of major deforestation. The soil is left unaltered and therefore features native plants and rare flora and fauna. Outside of the woods, bluebells tend to blossom near thick hedges and in people’s front lawns and gardens (probably planted there). Search for a location near you in this official map. Why Travel to See the Bluebells in the Woods? 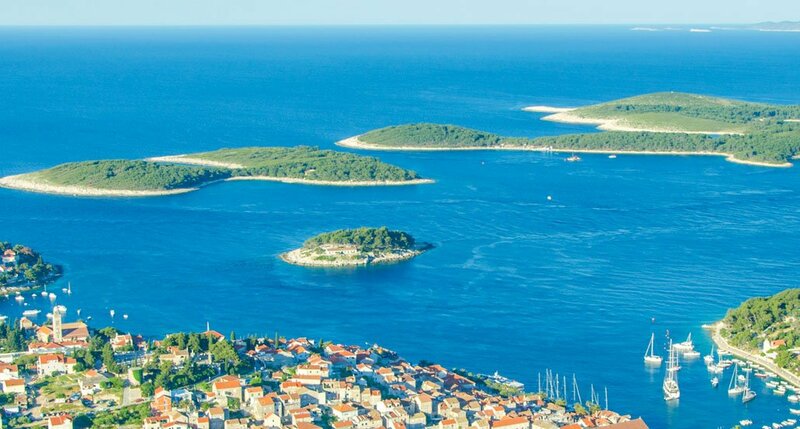 An endless sea of blue dotting the usually green forest floor. The sweet smell of the blossoming flowers punctuating the fresh air and you dancing between the streaks of light through the fresh green tree cover. That is what a walk through the bluebell woods is like. I had been to the UK multiple times but the only time I ever visited in spring, I missed the short window when bluebells bloom. Even though I visited the bluebells in York in late spring. I managed to only see about 7 bluebells. Let’s make that 70, shall we? And so I did an extensive google search for bluebells in London and ended up rather confused. Everything cool seemed to be hours away and hard to reach via public transport. Mulling it over and munching on my breakfast, a divine force seemed to be at work when suddenly the Woodland Trust appeared on the TV screen to talk about British bluebells. Did you know that British bluebells are very much different from other bluebells in that they are droopy, curled and very fragrant? I didn’t either. Even better than this knowledge, was the link that pointed to a list of registered bluebells of England! This way I would surely find bluebells in London. I recommend scheduling in at least a fair amount of time in London to be able to go on day trips depending on the weather. 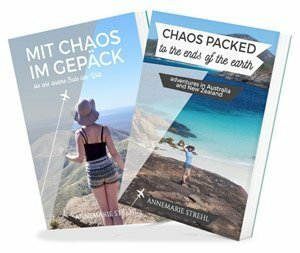 You can already do great sightseeing done in London in four days, so maybe plan an entire week to have three days spare? You know that the weather in the British spring can be rather fickle. Especially if you don’t have the luxury of waiting out rainy days during your limited time in England for the spring bluebells, you better come prepared for rainy or at least windy days. Umbrellas don’t really last long in England so it’s better to simply put on a rain jacket (which also blocks out the wind) or a poncho. Also wear walking or hiking shoes as forest trails are mostly natural, meaning there will be roots, rocks and puddles. If you are taking public transportation, don’t forget your oyster card within London and small change for the bus ride outside. For my hike around Nymans Woods I was very happy to see forest paths marked in my free maps.me app. It works offline too! Should you bring a dog along, don’t forget to put him on a leash and bring plastic bags along to collect any poop. Don’t let him run around the bluebells or step on them yourself. There are more wonderful spots to explore the bluebells in England. For one, you can explore the wonderful flowers in the area of London. Besides that, I also found quite a few spots in Devon around Dartmoor National Park. Then, the Yorkshire Dales also have remarkable spots. 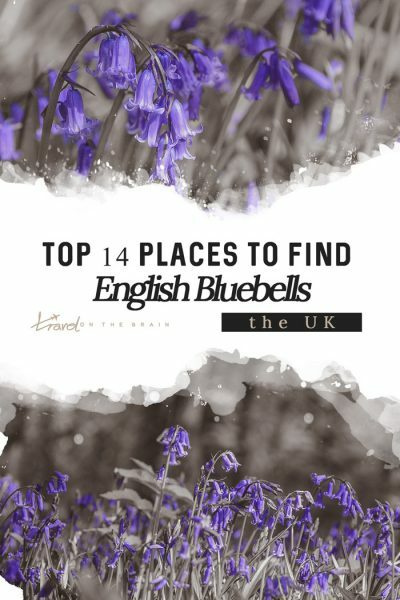 If you aren’t anywhere near those, here are some more suggestions I found during my research on locations for the best bluebell woods in the UK. Bluebells are protected, so don’t think about taking them. What you should take with you, however, are proper hiking shoes. It can get muddy and slippery, so they should have a good grip, be waterproof and easy to clean. Weather up in moors or shaded forests, for instance, can be slightly more chilly, so definitely bring a jacket, rain jacket preferably because of possible weather changes. Spring can be fickle. A poncho is a good idea if it does seem like a rainy day. Umbrellas generally don’t survive the English weather very long. Also, download the free offline app maps.me so you have the hiking trails for the bluebell forests handy and you know where you are when you enable your GPS. Are Bluebells in the UK Worth the Trip? I wouldn’t say travel JUST to see the bluebell woodland in the UK. (I did that though and have no regrets.) 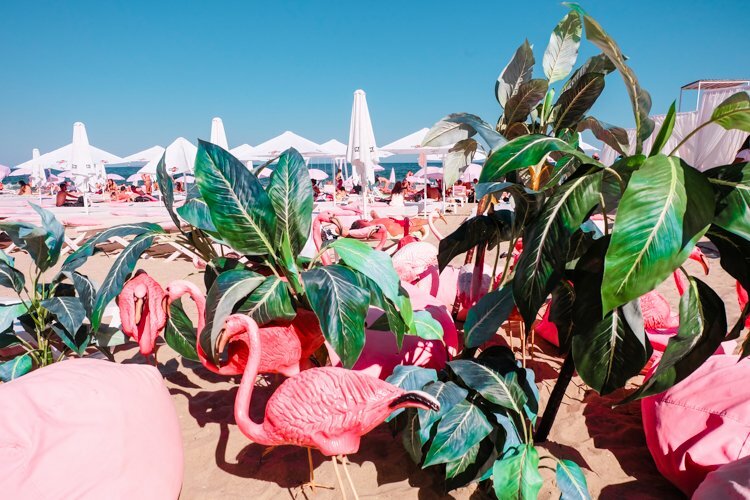 They are seriously pretty and a super unique sight. Walks in England’s nature are always wonderful, if you ask me, and the trip from London or Brighton doesn’t take too long. And do remember to come in late April at the earliest to get a good chance of catching the bluebells. The colder the places, the later you can schedule your visit. It’s a good idea to check locally when bluebells bloom. However, if you are only visiting England for a few weeks, maybe include a visit of bluebells for only a few hours if you are keen to see them. Holland Park in London is easy to get to, for instance. Or if you are visiting the Bronte Parsonage in Yorkshire, there are bluebells blooming around the graveyard. Tell me: Which spots would you want to visit most during the bluebell season?